"Frugal Traveler" Seth Kugel adds to the already healthy Yelp buzz. 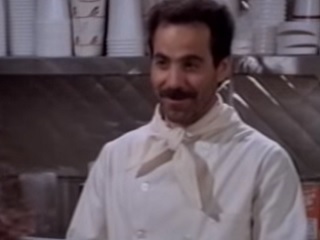 Although Kugel compared him to the “Soup Nazi” from Seinfeld, a character who was extremely strict about how customers are served, Saad was happy with the story. Actor Kramer, as the “Soup Nazi” character, recently made a funny Pepsi Max commercial for Israeli TV. Check it out here.